Welcome to our website! Here at Lone Star Smoker Co. & Fabrication, we put the customer first. We take time to listen to your needs and provide you service that exceeds your expections. 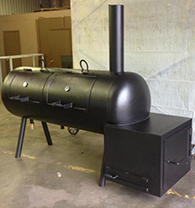 No job is too big or small for the professionals at Lone Star Smoker Co. & Fabrication. Please take a moment to see what we are capable of. If you don't see exactly what you are looking for, please contact us for a custom quote. Traditional, reverse-flow, catering rig or backyard, we have you covered! Browse our selection of production smokers and fire pits, or let us make your dream a reality! 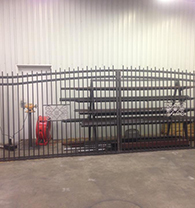 Big & fancy, privacy or extra security, Lone Star Smoker Co. & Fabrication can customize a gate and fence to meet your needs. Make a statement! We can create custom art for your home or business. 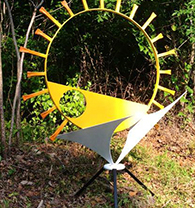 We can fabricate the add-on you need for work or play! 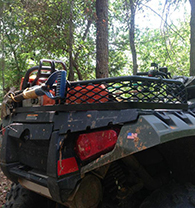 From an ATV utility rack to an aluminum bow-fishing rig... there is not limit wo what Lone Star Smoker Co. & Fabrication can create.